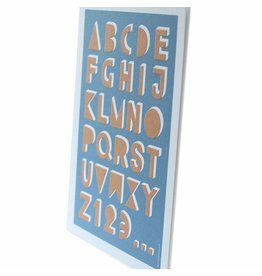 On the wall designs of Jurianne Matter include pop-up posters and graphic DIY decoration. The designs of Jurianne Matter in one way or another touch a string: paper, craft, rituals, traditions, sweet prints and everything produced eco-friendly. "A product is only really beautiful for Jurianne Matter if it has been realized with respect for nature and people".